Do your teeth get stained when you drink red wine? If you have ever enjoyed a night out sipping red wine and suddenly became horrified at your reflection in the mirror, it’s time to protect your teeth and yourself from this embarrassment. Red wine contains pigment-producing ingredients that adhere to enamel and stain teeth. Tannins in red wine are specifically responsible for helping it bind to teeth. 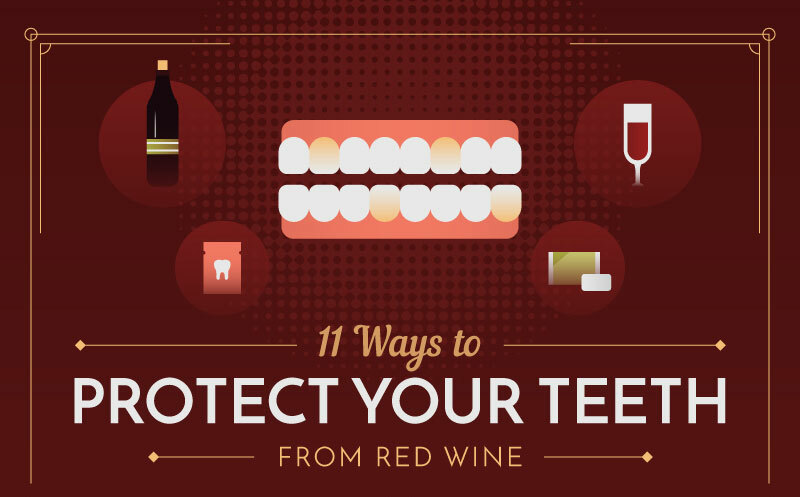 Before you give up drinking your favorite Merlot, Pinot Noir or Cabernet Sauvignon, view the infographic below created by Dr. Jacquie Smiles, top-rated orthodontist in NYC, about ways to protect your teeth from red wine stains. Professional teeth whitening by a cosmetic dentist is much more effective, safer, more comfortable and less aggravating than whitening with a store-bought kits. Learn more about Zoom! Whitening. Red wine stains on teeth is a common issue among wine connoisseurs. 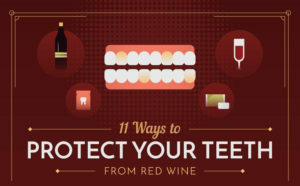 Preventing teeth from getting stained with red wine is possible when using the tips listed above combined with professional teeth whitening services. If you want immediate results, Zoom! Whitening system is an in-office procedure in NYC that uses proprietary technology to whiten teeth up to eight shades. Those red wine stains will disappear! Call 212-972-3522 or filling out the contact form to receive additional information.